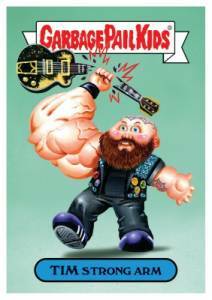 GPK, stickers, and rock n' roll! 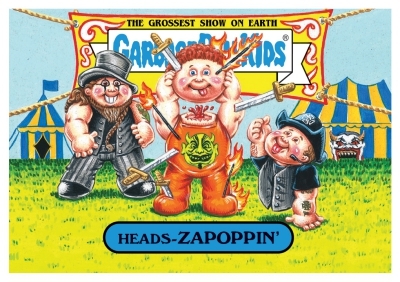 2017 Topps Garbage Pail Kids Riot Fest parodies various artists in honor of 2017 Chicago Riot Fest. The ten-card set is available to fans attending the music festival. 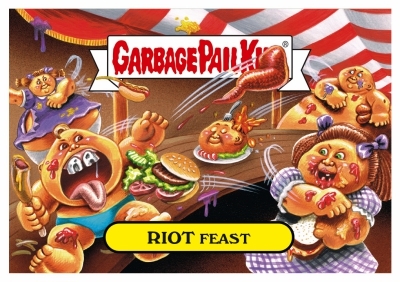 Much like the 2016 GPK Riot Fest release, the limited set offers different Garbage Pail Kids designs featuring several key bands. 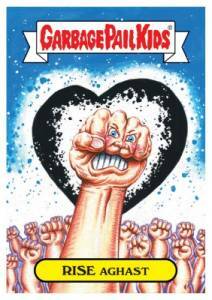 The new lineup includes Against Me!, Fishbone, New Found Glory, Tim Armstrong, and several more. 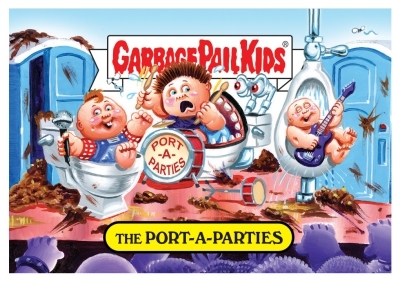 Since many music events have become infamous for...let's say not-so-fresh restroom areas, 2017 Topps Garbage Pail Kids Riot Fest also pokes fun at this with a "The Port-a-Parties" card. 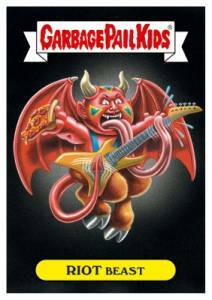 Although specifics on pricing and quantities available for the Riot Fest exclusive cards are not known, attendees are encouraged to visit the Chicago Riot Fest merchandise area as soon as they arrive on Friday. All ten sticker cards are included in one pack. Riot Fest Chicago 2017 is held for three days at Douglas Park from Friday, September 15 thru Sunday, September 17. 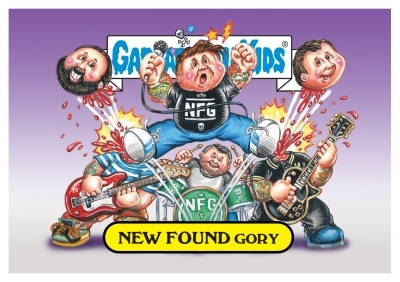 Riot Fest 2016 Garbage Pail Kids Set NOFX Descendents Gwar FREE SHIPPING!!! 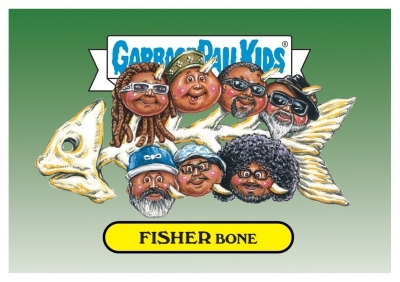 2017 Garbage Pail Kids Riot Fest (10) Sticker Set Limited Print Run RARE! COOL! 10 cards. Shop for Riot Fest on eBay. 3 Against Me! - AGNES T. Me! 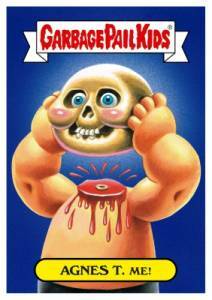 View more music-themed Garbage Pail Kids sets with our related product profiles.